We can all use a little holiday cheer! Join us for hors d' oeuvres and wine. 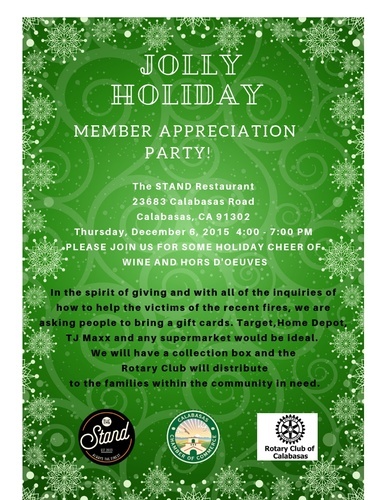 We want to thank you for being part of our chamber and the Calabasas business community. More importantly we want to support the victims that have been effected by the Woolsey Fire. We are teaming up with the Rotary Club and collecting gift cards to supermarkets, clothing stores, and Home Depot.